As a virtual assistant, your comfort zone is getting things done for other businesses. Quietly working behind the scene in your office or dining room with little company, apart from your pet and or children. So you have read 5 ways to go networking as virtual assistant which talked first about business networking, however, you’ve never attended a meeting, so where do you start? Although I’ve been to over 500 networking meetings which have varied in format, style and timings, I’m not an expert at networking and I still remember what that first meeting was like. Therefore, I asked someone I know who is an expert in networking to write this week’s guest blog specifically for those virtual assistants who have never been networking before. The person I am talking about is, of course, Stefan Thomas. Known not only for his 2 books, his love of Ace of spades, his loud shirts or his Evian bottle (!) but also for being my good friend and mentor. I truly believe everything he says is logical, sensible and worth taking the time to read and consume. There was a time when I was new to networking – and it really wasn’t that long ago. In November 2005 I walked into my first ever networking meeting, and I was terrified! Nobody had told me about the 60 second introduction, so I had nothing prepared, and I crashed and burned on my first attempt – managing about 7 seconds in total before panic took over! Since then, I’ve attended over 1000 networking events and even written two bestselling books on the subject. I get to talk to people all over the world about business networking and have even been quoted in newspapers and on television. Virtual Assistant new to networking, what support is there? For those of you who are new to networking, the brilliant news is that there is LOADS of support out there. I hope these short tips will fast track your journey into networking. As a Virtual Assistant, what can you do before the meeting to prepare? 1 – Before you attend your first networking event, talk to the organisers. Networking organisations such as BNI & 4Networking have a formal team structure with volunteers who specifically undertake to make sure that any new visitor has the best possible experience. Any decent networking group will want to make sure that newbies feel welcome, not least because it is polite, but also because we like to welcome new business owners – any new members are good for any network. Use social media, Email or the ‘phone to engage with the team beforehand and your first meeting will feel far less daunting. 2 – Prepare yourself with business cards and any other leaflets or marketing material you have. Culturally business cards are still important, even though most of us store our contacts on our ‘phones or CRM systems these days. The swapping of business cards is still most people’s preferred way of sharing their business contact details. You will, of course, want your new networking contacts to be able to contact you, so go with a decent supply. Many networking events have somewhere for attendees’ promotional material to be displayed so, if you have leaflets, take them along. If you have a pop up banner, many networking events will allow you to display those too. None of this is compulsory but business cards at the very least, are pretty basic kit for a new networker. 3 – Prepare your 40 or 60 second introduction in advance. A lot of structured networking events have an introduction round, where every business owner in the room has the chance to briefly introduce their business to the other people in the room. Different networking organisations have slightly different ways of approaching this, so refer to point 1 and speak to the organisers beforehand, they will help you understand what you need to say. A great start would be to download the excellent free Networking Companion App by Appware, which will give you tips on what to say, allow you to write and record your introduction, and even time you so that you don’t overrun your allotted time. You can find and download the app here. How can you make on the day go better? 4 – Arrive on time. Some networking events have a timed structure. If you’re late you could miss the beginning of the meeting and, even worse, potentially be embarrassed as you make an entrance. If you’ve not been to the venue before, allow yourself time for traffic and to find parking. Being there early has many benefits, arriving late doesn’t. 5 – Allow time in your diary to remain at the venue for at least half an hour after the event has finished. What if you meet your perfect client there and then. If you have to rush off you won’t have time to continue the conversation and strike while the iron is hot. If you allow time after the meeting, you can continue any conversation. Even if you don’t have any exciting conversations to complete, immediately after the meeting is the ideal time to follow up with the people you met. Which reminds me……. Even if you don’t have any exciting conversations to complete, immediately after the meeting is the ideal time to follow up with the people you met. Which reminds me……. What about afterwards, how can a Virtual Assistant new to networking get more out of an event? The fortune, as they say, is in the follow up. So book time in your diary to follow up with the people you met and keep those conversations going. Every big opportunity starts with a little conversation and networking events, handled correctly, give you a huge opportunity to start conversations with other business owners in a relaxed, yet businesslike environment. I fell in love with business networking, and very hope you do too. I hope these tips have helped. 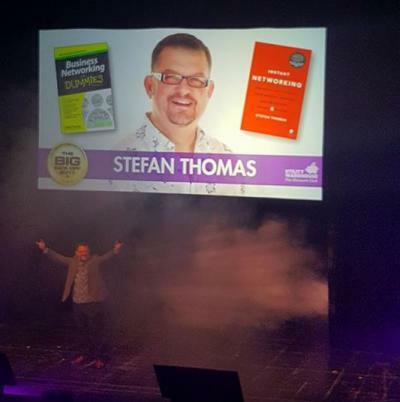 Stefan Thomas is the author of Business Networking for Dummies and Instant Networking, both of which are available on Amazon. 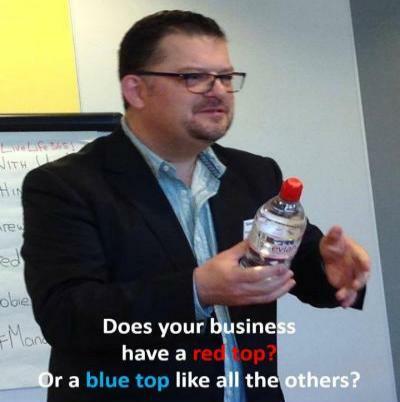 You can read more hints and tips on networking at his website stefanthomas.biz. 1 – How did you feel when your first networking event apporached? 2 – What have you or other Virtual Assistants done in order to combat those nerves at your first event? 3 – What is stopping you from taking the plunge and going networking? Offline vs online business networking: Which is best? You are the 5 people you spend the most time with – is it true?